Some people see cable TV as a luxury. Others see it as a waste of money. Like the majority of people, I fall somewhere between the two extremes. Regardless of how you feel about cable TV, you should do whatever it takes to save money on your cable services. Work with a customer service representative to save money on your cable bills. Your cable company should try to keep you as a customer, even if you need to cut back on your cable service to save money. I explained to the customer service representative that I needed to reduce my monthly bill from $125 to $100. After running some numbers and reviewing my service, she made three suggestions to help me reach my goal. Two of her suggestions sounded like compromises I could consider in order to reduce my bills and the third suggestion wasn’t right for me (more on this below). To save money, you have to seek out discounts by calling your cable provider or by visiting the company website. The customer service representative told me I could take advantage of a six-month promotional offer for two of my sports and movie packages to save money. This discount shaved $14.99 off my monthly bill. I was extremely happy to receive the discount, but disappointed that I didn’t know about the deal until I asked about saving money. I learned an important lesson that day. If you don’t ask for discounts, you cannot expect to receive them. The customer service representative also suggested that I bundle my services to save money. My cable company offers three services: cable TV, Internet, and telephone. Unfortunately, they only offer a service discount if you purchase all three. Since I have no interest in a land line, I could not take advantage of this package deal. If you want to combine services, consider a bundled package to save money. You may have to sign a new contract, but if you plan to stay with the same provider this shouldn’t be a sticking point. I saved another $10 when I cut back on extra services. After careful consideration, I realized that I didn’t need to have three HD boxes in my house. After all, only my wife and I live in our home. We didn’t feel that giving up one converter created any hardship. Do I miss having a third television with HD capabilities? Not at all. I simply walk to a room with HD service if I need a high definition experience. 5. Can I Speak With a Manager? Give the customer service representative a chance to answer all of your questions. Don’t escalate the call unless absolutely necessary. Be courteous. It’s fine to ask to speak with a manager. It is unacceptable to use a rude tone, use profanity, or make unreasonable demands. Immediately set the right tone for your conversation with the manager. Thank the supervisor for his or her time and explain that you wanted to speak with somebody with more knowledge of your situation. Speak slowly and carefully, never raising your voice or getting agitated. State your case plainly, and ask the manager to help you resolve the situation. With money tight in many households, finding ways to save money can make it easier to achieve financial goals. Even if you have tried to contact your cable company in the past, I encourage you to try again. Their deals and discounts change regularly, and you often have to call to learn about special promotions. You may not think you can save anymore on your cable bill, but by exercising these tips and strategies you can begin saving more money this month. 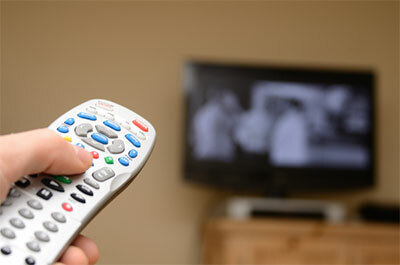 What additional tips can you offer for saving money on your cable bill? Have you done this successfully in the past? Please share your tips below. I think Comcast offer great prices for what consumers get. That $25 is even more invaluable when you consider putting it into a retirement savings account each month for it to collect interest over a lifetime. I definitely see the value in just getting rid of cable all together, but I find it to be a little bit drastic over the winter months. Nice! I just cut out cable all together – I can get most of the shows online on Youtube or some chinese video site. Cable companies are some of the easiest places to bargain with. You can complain about something and get extra channels for free. If you are threatening to go to a competitor, they sweeten the offers quite a bit. It pays to talk to them! I have Comcast at home. Every 6 months I call them to renegotiate their promotions. I also own my own modem and my own box so last year it payed for it self. My bill is only around $55.00 a month. It is good to see that you saved 25 dollars a month. Invest that money wisely! I have done this with my cable company in the past. There are usually some kind of special deals you can get – but you have to ask. I’ve also done the same thing with my cell phone. Only one time back in 2001 did I not get anything better. So I promptly switched to a new carrier. Always ask for deals and always check your monthly bills for things that shouldn’t be there or that you don’t need anymore. I didn’t even know about secret discounts. Oh well, I’ve already cut my cable, so it doesn’t matter. With the internet these days, most of my favorite shows and movies are online. I tried calling AT&T to get my U-verse bill lowered a couple of months ago and got nothing but the runaround. I was transferred to several different people who could only tell me that I need to speak to someone else. I finally just gave up and hung up the phone. Once my contract is up with them, I am 100% done with AT&T U-verse. I swear you must have talked to my wifey. Its like she knows this thing by heart. She is always getting our bills lower by haggling. If she doesn’t feel the rep will give her what she need she politely says thanks and hangs up and calls right back. If that one doesnt she asks for the manager. We bundle so we get our alarm, internet and cable. Not really needing the tv but need the alarm and internet. Thanks for the info! I definitely need to call the cable company and slash my bill to the bone. I am paying them way to much money each month. I will use some of your tips when I call them. Is this a permanent discount? My cable company gave us a $20/month discount but only for 3 months…which is better then nothing. Our cable company is Cox. I think those who are working persons they have not so much time for TV. We get very little time for entertaining us through TV channels. So why not enjoy those programs through internet? I like to enjoy my favorite programs on internet with single payment. Most of programs uploaded in youtube. So it’s a best option in my view. I would suggest a year long subscription at one go to get discounts on your cable connection. This will help you get relief from the monthly expenditure.